As you know, earlier in the year I talked about the importance of art collecting on the art community with Larry Shapin & Ladonna Nicolas. And thanks to that interview I was invited to the estate of Al and Mary Shands, Great Meadows. The Shands’ home is nestled in a more woodsy area of Crestwood, in the midst of quiet expansive fields. To say the least, it is an amazing spot for a home built specifically for living with, and reflecting on, a large art collection. Another shot by Sarah Katherine Davis. 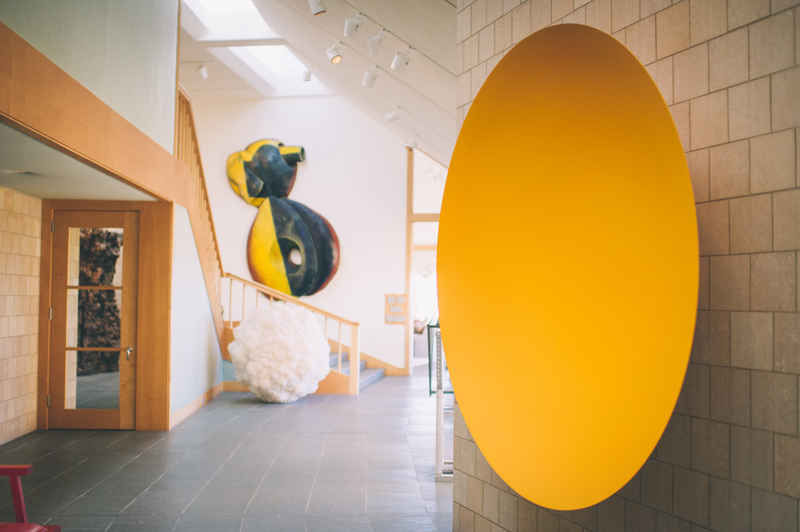 In the foreground is Anish Kapoor’s Untitled (Yellow Wall Disk). 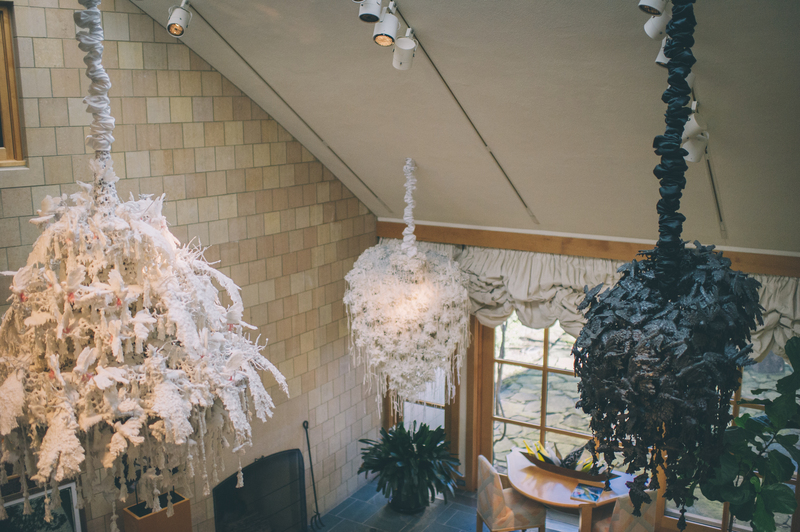 Great Meadows is home to hundreds of pieces of art, much of which are large scale sculptures. The house was designed to accommodate such pieces, while also being a home and social gathering place. As an Episcopal preacher, Al Shands is very into the idea of bringing people together, whether it’s socializing or quiet reflection. Shands is someone who delights in exchanging ideas, so with all this in mind, his home is no surprise. 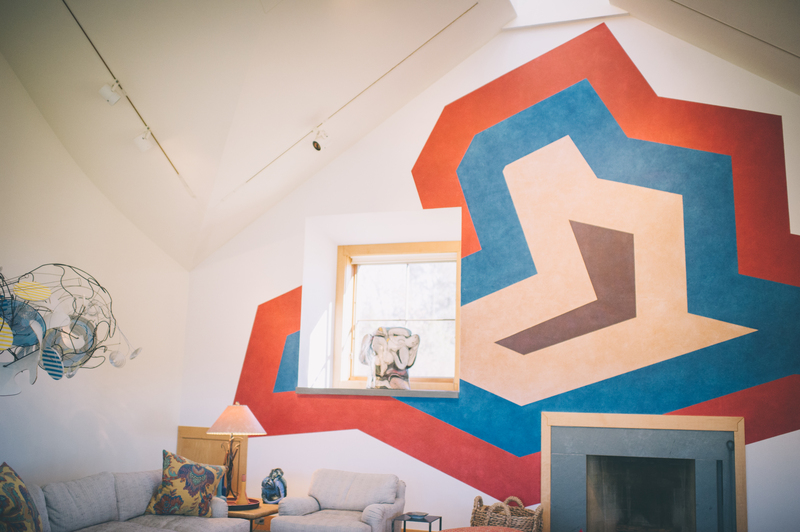 Sol LeWitt’s Untitled Wall Drawing in the Shands’ living room. Photo by Sarah Katherine Davis. I spoke with Al Shands and Julien Robson about the collection and the estate. Al Shands will leave the entire collection to The Speed Art Museum upon his passing. Al and Julien worked together within The Speed, and have come together again to produce the book Great Meadows: The Making Of Here, to give people a feel of the home as it is now. Al hopes to help grow The Speed with his gift, and to inspire others to collect with his story. The beautiful book chronicling the progress of Great Meadows is available here. Below you can listen to our chat (I apologize for the ‘levels’).